Don’t worry…it’s the same blog, just a new address. Make sure you update your bookmarks, etc! See you at Offtheeatenpathstl.com ! So I’m going to be honest. I had heard some not-so-good things about Smoking Joes online, so when my mom suggested we go here for our monthly girls night get together, I wasn’t too thrilled. However, after giving the place a try on a busy Friday night, I can safely say that Smoking Joes is legit. 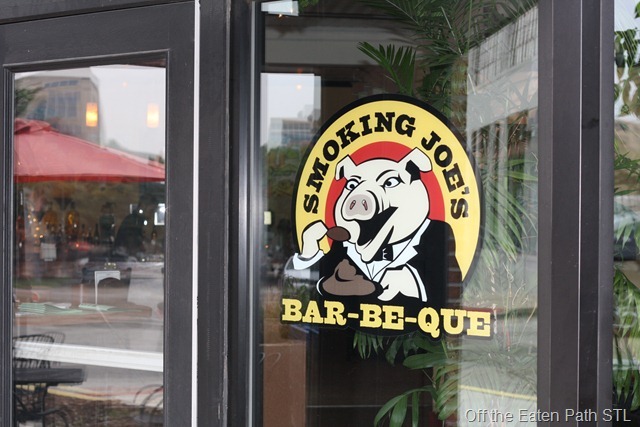 Smoking Joes is located on Washington Avenue in St. Louis, MO. 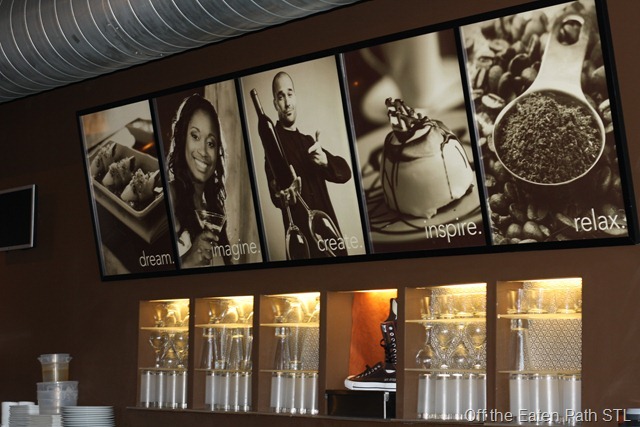 It’s a really hip place (gosh, I just said hip…am I getting old?) with lots of bars, clubs, lofts, and awesome eateries. I was expecting it to be somewhat crowded with the dinner rush when we arrived at 6:30, but to my surprise, it was mostly empty. The bright side? We could sit wherever we wanted! There was a live band playing that night, so we chose a table close to the stage, naturally. More on the entertainment in a bit. Our waitress was pretty friendly, and quickly handed us menus and drinks. We subbed pulled pork for the brisket and chose mac and cheese, baked beans, and sweet potato fries for our sides. While we waited for our food, I was able to get a good look at this place. 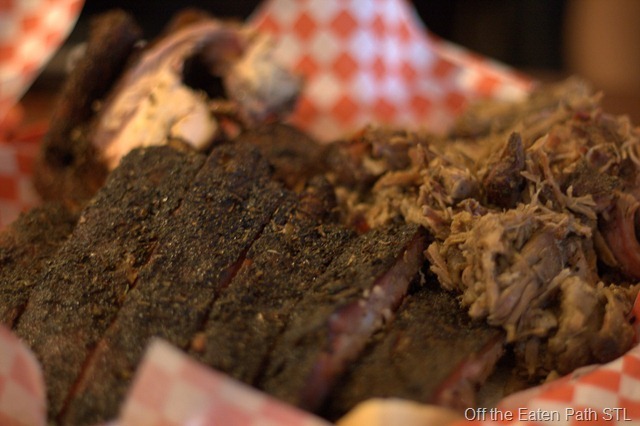 Usually, when I think about barbecue joints, I think of a down and dirty type atmosphere. Grungy, dirty, farm-like. But this place was actually REALLY nice! It was very swanky and lounge-y. I liked it! Our food came out pretty quickly, and boy was there a LOT of it! The waitress brought out three BBQ sauces (hot, mild, and sweet) and we went to town. I started with the pulled pork, which was definitely my favorite part of the meal. Tender, juicy meat which knocked my socks off! Adding barbecue sauce only magnified the yummyness. I tried the ribs next, which came off the bone very easily with a slight tug. Once again, tender and moist, albeit a little too fatty for my tastes. Nonetheless, these are the types of ribs I’m accustomed to, not the ribs at Pappy’s (review coming soon! ), which are good, but remind me of beef jerky. Next? Chicken! This was tasty as well, although a little dry for my tastes. That’s what BBQ sauce is for, right? It was seasoned very well, and it’s hard to get BBQ chicken right, so they get a pass on this one. On to the sides! 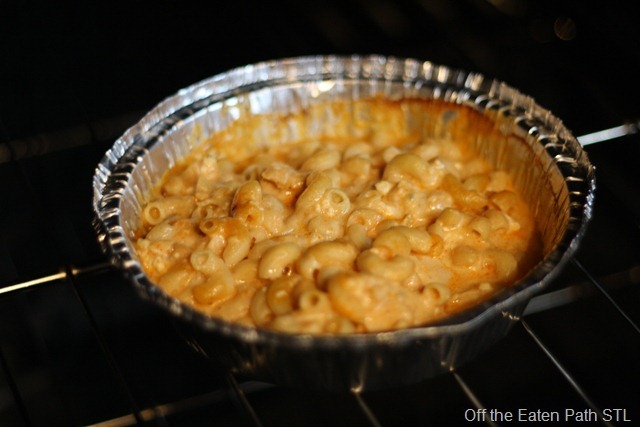 The mac and cheese was yummy after I added a touch of salt. 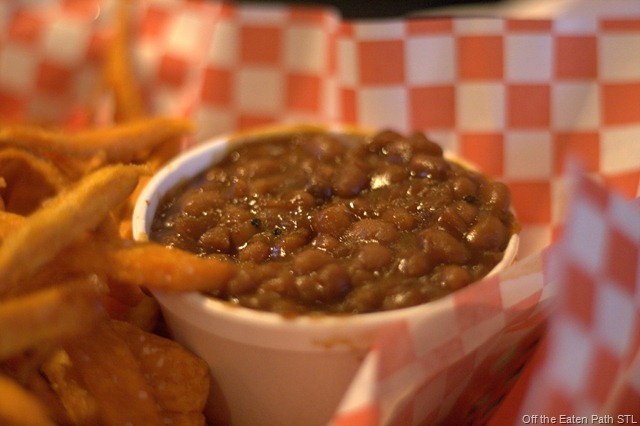 The baked beans were sweet and perfect. 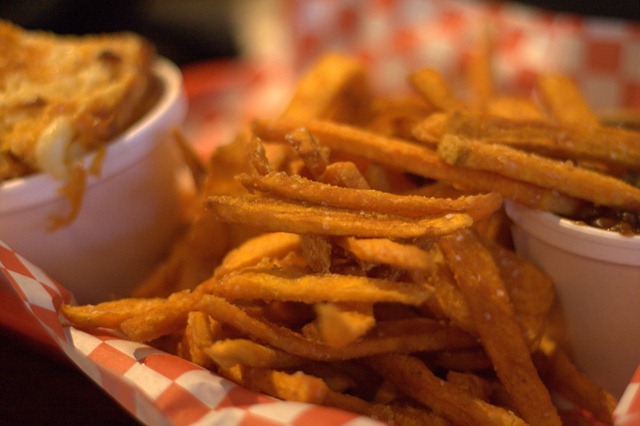 And the sweet potato fries were hot and crispy, just the way I like them! Smoking Joes has a pretty decent drinks menu, so I ordered the Smoking Joes sweet tea, which had jeremiah weed sweet tea vodka in it. Yumtastic! My sister ordered the ‘Brazilian Blast’, which contained Malibu, Blue Curacao, Triple Sec, Orange Juice, Pineapple Juice, and Mango Schnapps. My mom ordered something green. With a cherry on the bottom. I forgot what it was (darn! ), but it was mighty tasty. Okay, so not the best picture, right? I kept taking picture after picture, fumbling around with the settings, and it was just a challenge! The lighting was tricky. And I’m not very proficient with my camera yet; I use the auto setting a LOT, and I’m trying to experiment with others. It’s just a huge fail. Help! Anyway, the entertainment was FAB. I can definitely see myself coming back here on a Friday or Saturday night when they have live music. And because the food is cheap, I’ll probably come here more often than I should! Smoking Joes, you’ve won my heart. Congrats. Oh, so you’re probably reading the title of my post and wondering what the good news is. 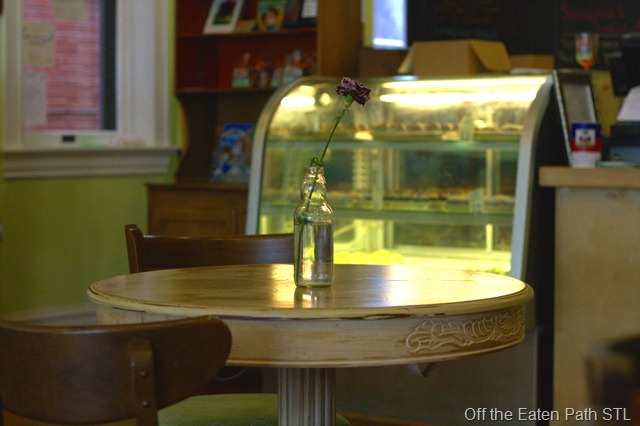 Well…Off the Eaten Path is getting a (much needed) makeover VERY soon! I’m so excited I can barely contain myself. Everything will be organized by cuisine type (BBQ, Mexican, Italian, etc), and the site will look a lot cleaner and will be easier to navigate overall. I don’t have an exact date on when all of this will happen (this is just a part-time hobby, after all! ), but I promise it will be soon. One more shameless plug: if you’re on Facebook, you can keep up with Off the Eaten Path by becoming a fan (do it…pretty please!). You can also follow me on Twitter and get up-to-the-minute updates on what I’m doing, and more importantly, what I’m eating! So clickety-click away! Have you ever visited a place that makes you so excited that part of you wants to tell everyone about it, yet at the same time, you want it remain your own little secret? Well, that’s how I feel about Sweet Art. 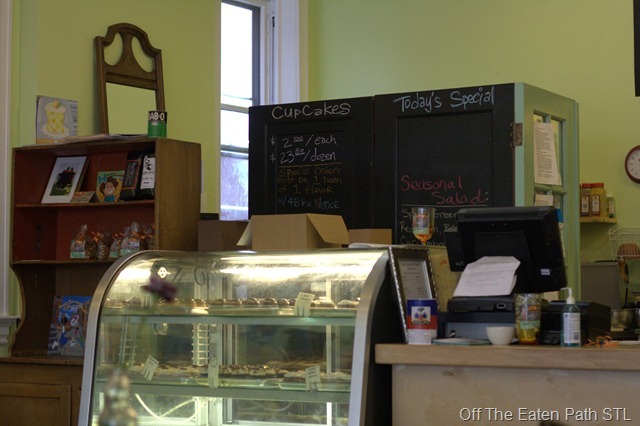 It’s a cute little bakeshop & art studio in the Shaw neighborhood of St. Louis, MO. I’ve been here before, but this is my first time blogging about it! 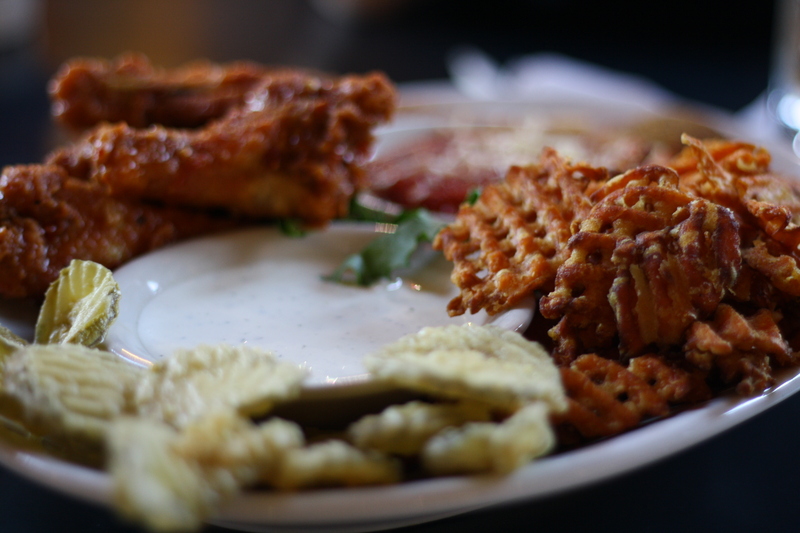 Thanks to an awesome Groupon, I was able to eat lots of yummy food for next to nothing – and tell you all about it! Double win! 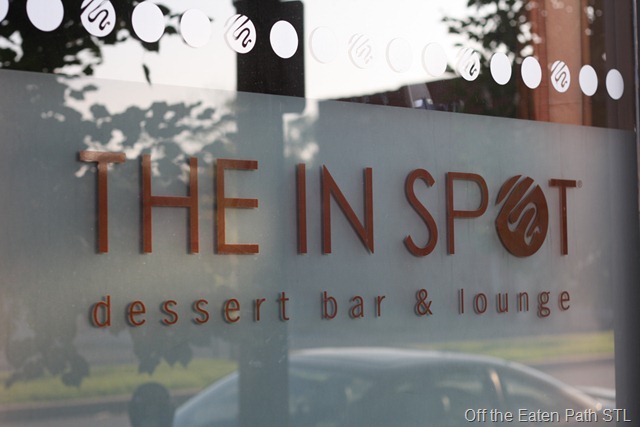 Before I get to the food, let’s talk about atmosphere. This little neighborhood shop is SO cute and inviting. It just feels like home, in a way. I snapped a few photos, but not nearly as many as I wanted to. I just started to feel weird after a while! 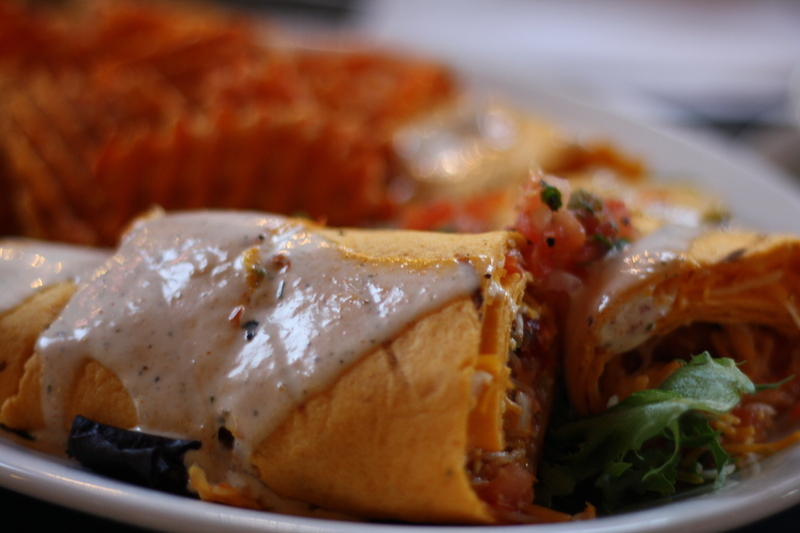 One thing about food blogging – people tend to think you’re a little crazy when you start snapping photos willy-nilly! 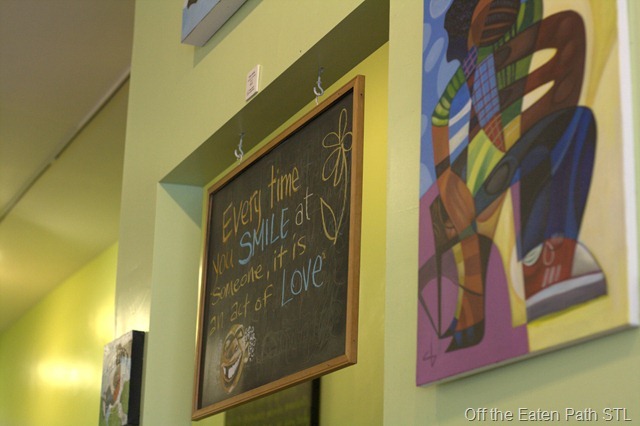 One little thing – I forgot to mention that Sweet Art is a vegetarian/vegan restaurant! As a former vegetarian, this didn’t bother me in the least; I may be a meat-eater now, but I’m not afraid of fake meat products! Food is food, right? Honestly, though…Sweet Art does such a good job of preparing their food that you don’t even think about the fact that they’re meat free. Everything is THAT tasty! Okay, enough of the blabber…let’s get on to the food, shall we? I started with the ‘39th’. 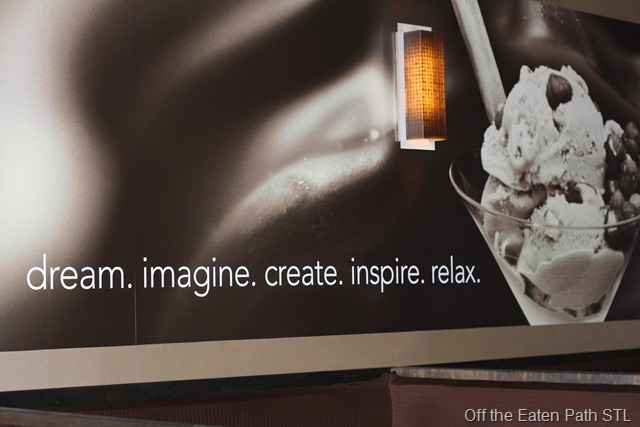 (Sweet Art names most of their sandwiches after St. Louis street names…cool, huh?) 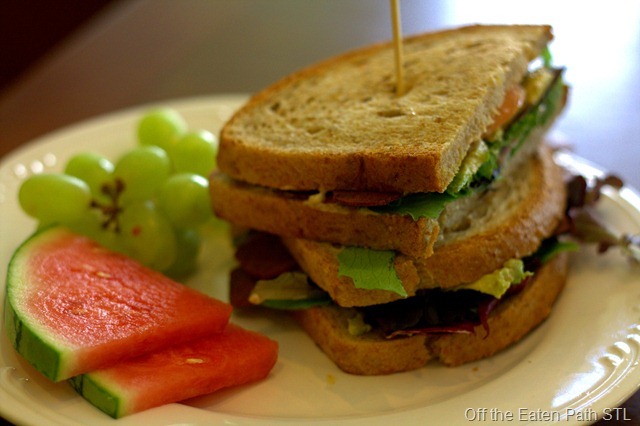 It is their BLT w/smart bacon (soy), organic mixed greens, tomatoes, and vegan house spread. I added avocado for an extra buck. It came with the choice of chips or organic fruit. Want to guess which one I went with? This was GOOD. 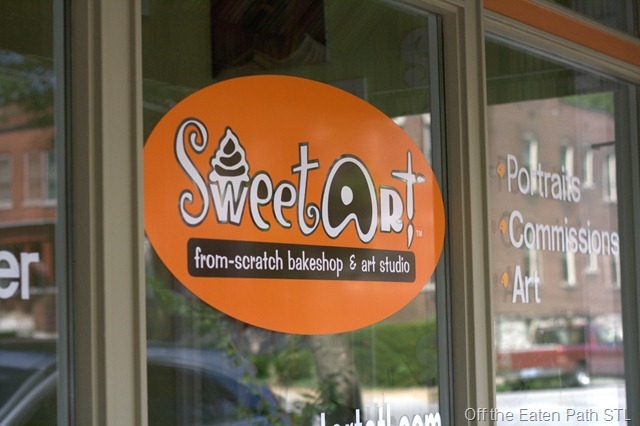 I will say it once: Sweet Art has THE BEST cupcakes in St. Louis. Period. The cake was moist and light. The cream cheese frosting was rich and creamy. 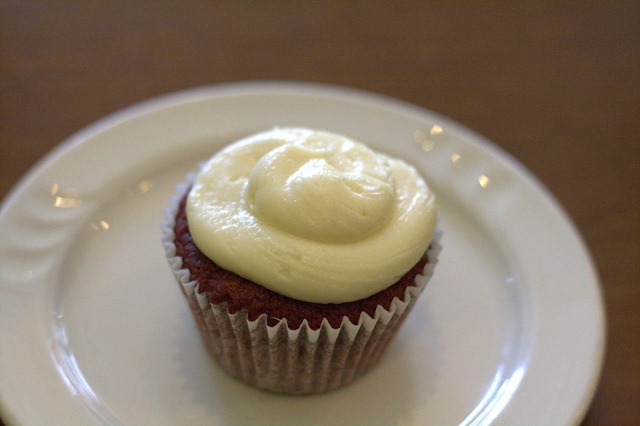 Red velvet is my fave cupcake flavor, and this one certainly didn’t let me down! Oh, it was so good! Of course I couldn’t just stop there, now could I? I was stuffed, but I ordered a few goodies to go; a girl’s gotta eat dinner, right? 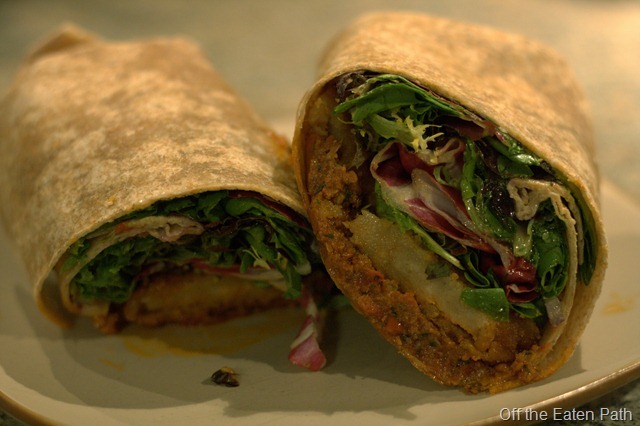 The name of this spectacular wrap escapes me. I checked Sweet Art’s website, and it wasn’t on there, either! All I know is that is contains organic mixed greens, a wonderfully delicious spread, and faux chicken. Maybe a few more goodies. I don’t know. I’m useless! This was DELICIOUS, though! Three words. Homemade. Vegan. BROWNIE. You can stick a fork in me, because I’m done, folks! 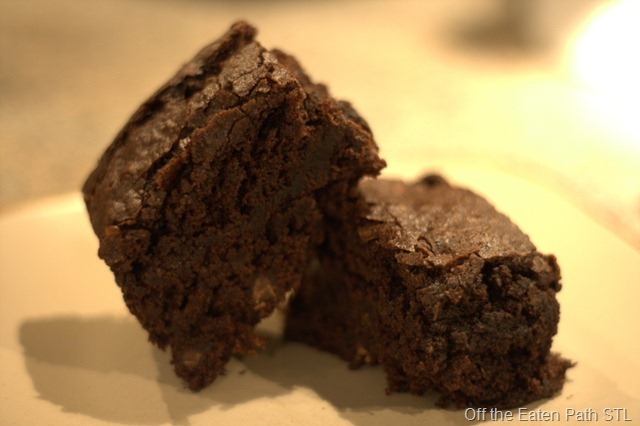 How they managed to make this decadent brownie with no eggs, milk, or traditional chocolate will forever be a mystery to me. Dare I say that this is better than any brownie that I’ve ever tasted in my life?!!? Yep, I just went there. And for the naysayers, honestly, this tastes JUST like the real thing. It will blow your mind! Okay, so now that I’m done waxing poetic about this wonderfulness that is Sweet Art (and I PROMISE you, the owners didn’t pay me to write this glowing review!) I can give you guys some scores (just in case you’re still confused about how I feel about this place). Yep, this received the nearly impossible-to-get straight 5 stars from me! 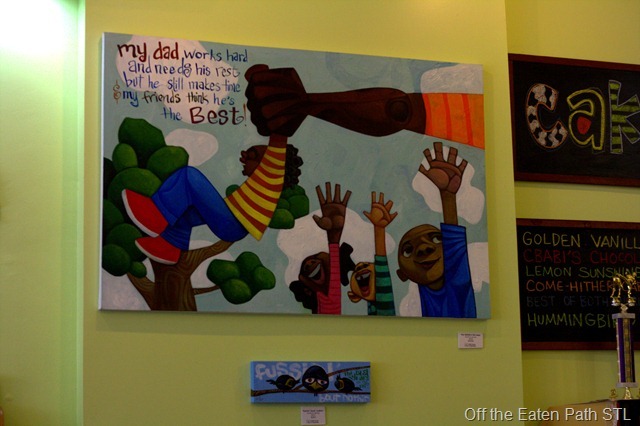 If you’re in St. Louis and you haven’t been to Sweet Art yet, what are you waiting for!?!? Hightail it here, NOW (and take me with you, please!). You can thank me later. 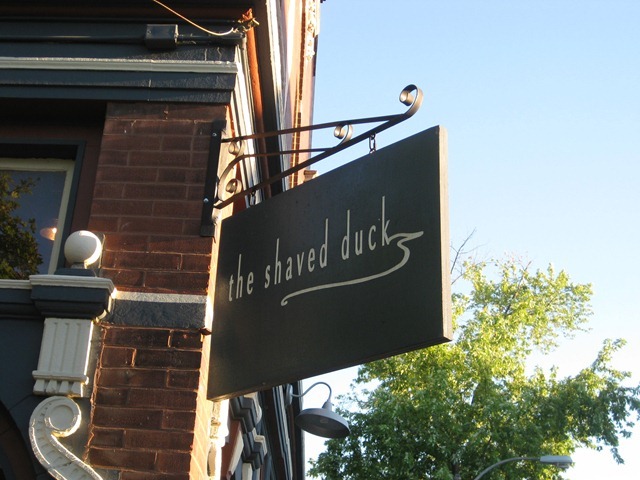 So Andy and I went to The Shaved Duck the other day…and yes, that’s actually the name of the restaurant! It located in the Tower Grove neighborhood in St. Louis, MO. 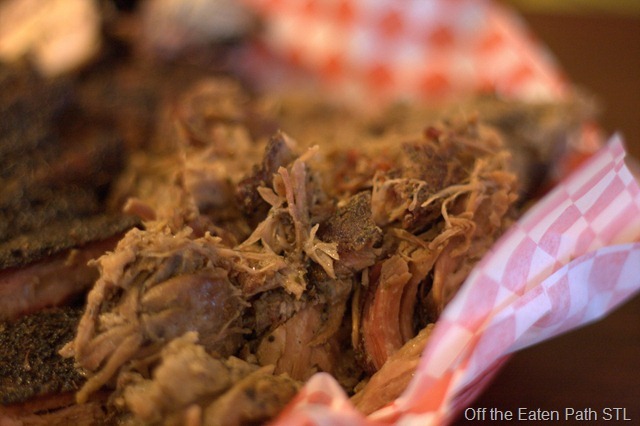 As you may (or may not) imagine, The Shaved Duck is mostly a BBQ joint, but on the upscale side? That’s not to say that anything was expensive – actually, it was quite reasonable! 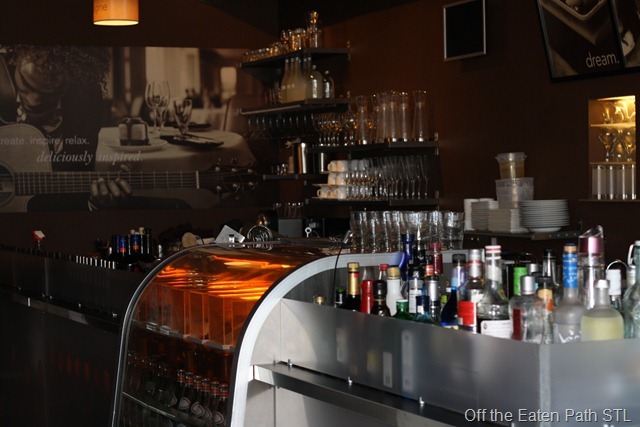 But the atmosphere is a lot different than what you might be used to at a barbecue place. It was nice, chic, warm, and inviting. When we arrived, our server was SO nice! Sweet and bubbly, but not annoyingly so. It was very refreshing. She quickly went over the specials of the day: two orders of chicken wings for the price of one, $3 draft beers, and half off smothered fries. She had me with ‘smothered fries’. 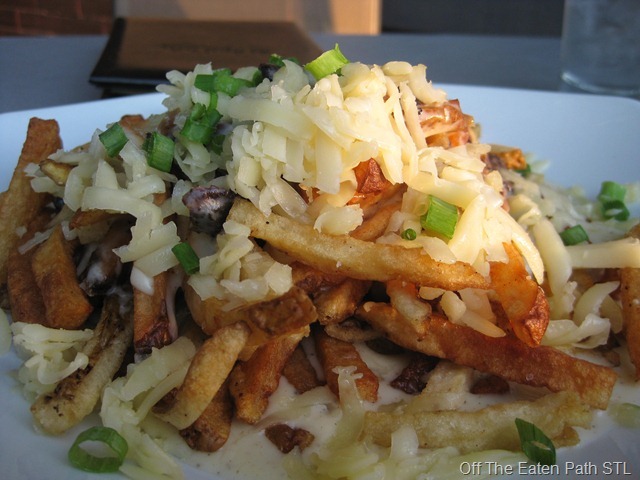 It sounded like a pretty good appetizer – pulled rib meat over crispy, hand cut fries, smothered in cheese sauce. MMM! The fries were just as good as they looked. The rib meat was juicy and tender, the fries were hot and crispy, and the sauce was rich and creamy! I’m drooling just thinking about it. 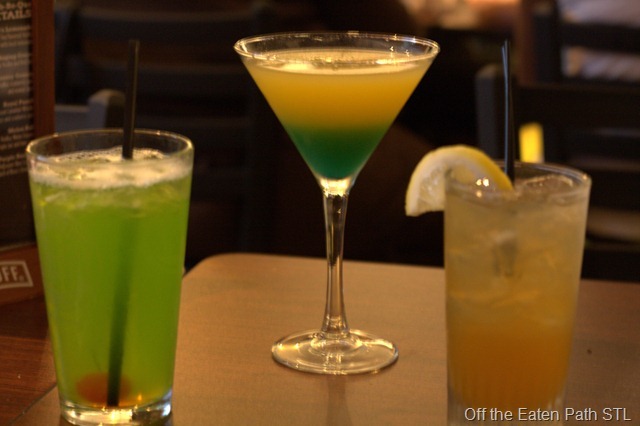 After we snapped out of our post-french fry food coma, it was time to order our entrees. 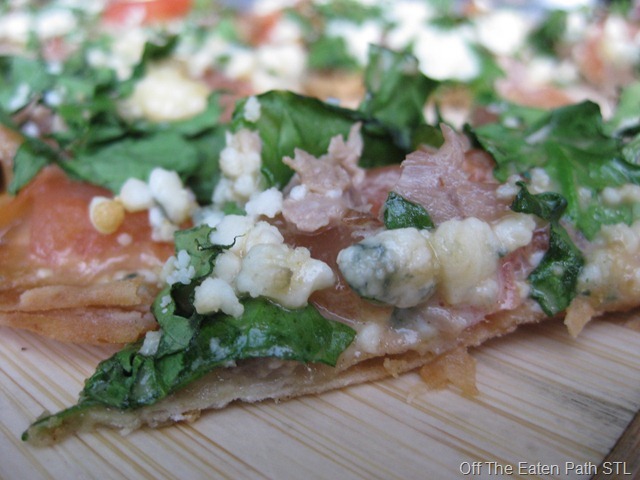 I went with the duck and blue cheese flatbread. House made flatbread topped with tomato, spinach, a sweet bourbon drizzle, and duck (of course!). 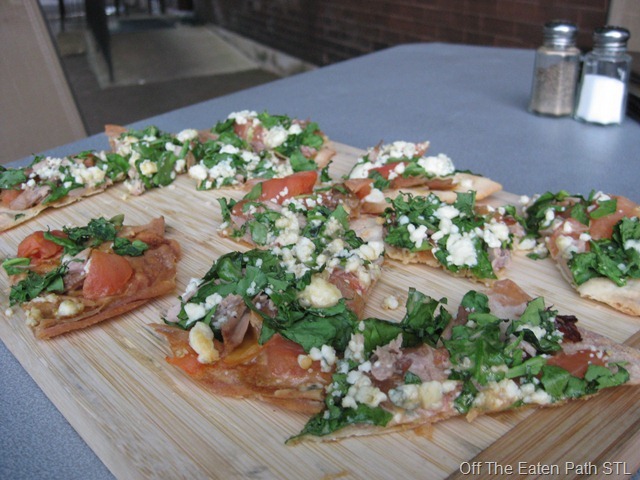 The flatbread was thin, buttery, and crispy. 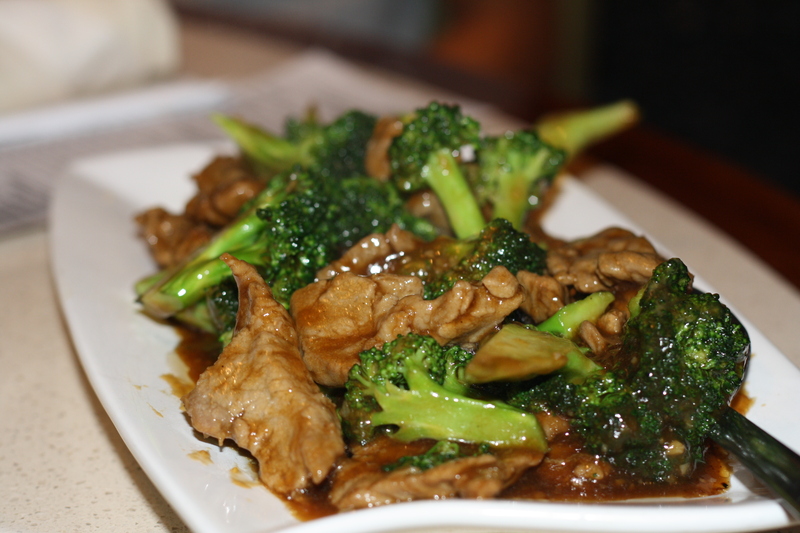 The duck meat was tender and flavorful. The bleu cheese was creamy and light. And the sweet bourbon drizzle was PERFECT! It brought everything together in the most wonderful way. I inhaled every single piece. Andy ordered the beef brisket sandwich with a side of macaroni and cheese. I was too busy enjoying my flatbread to take a picture of his food, but I really wish I would have! I’m not a huge brisket fan, but this was AMAAAAZING. Tender and juicy (that seems to be the theme of the night here!) meat hugged by the softest croissant roll EVER. 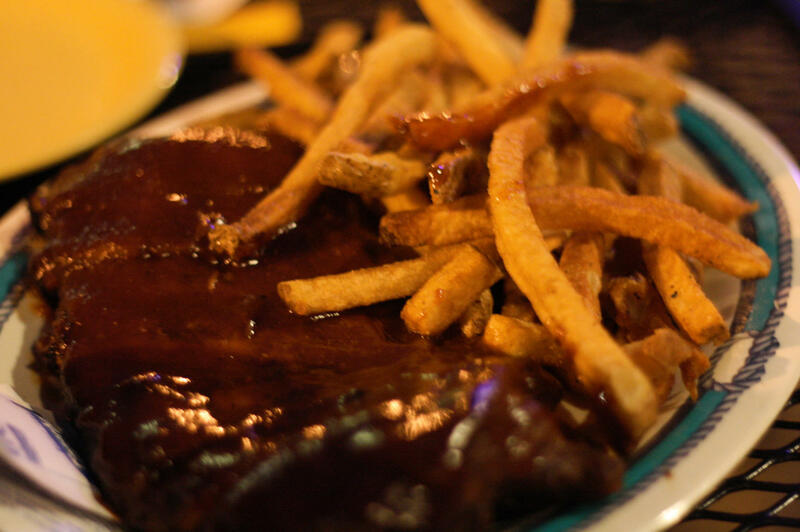 Topped with sweet and smoky BBQ sauce, this absolutely knocked my SOCKS off. The mac and cheese he ordered as a side was good, too. 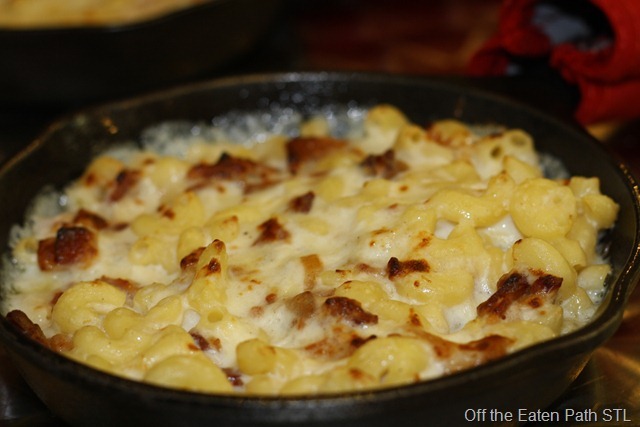 Thick gooey cheese wrapped around little shells of HEAVEN. Yes, I’m being overly dramatic, but this was SO. GOOD. Why didn’t I take pictures?!?! I’m kicking myself now. There’s no description of the dessert on the site’s menu, so I’m going from memory here. 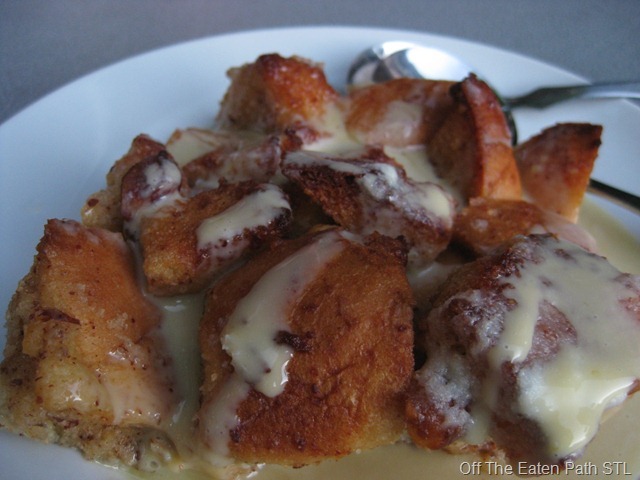 I think it was an almond brioche bread pudding with an amaretto sauce. It tasted a little like a cinnamon roll and a LOT like heaven. Oh, it just melted in my mouth, it was so good. Needless to say, I’ll definitely make a return visit to the Duck. I want to explore more of their menu! Please, if you’re in St. Louis, don’t pass up this little gem. It’s absolutely AMAZING! 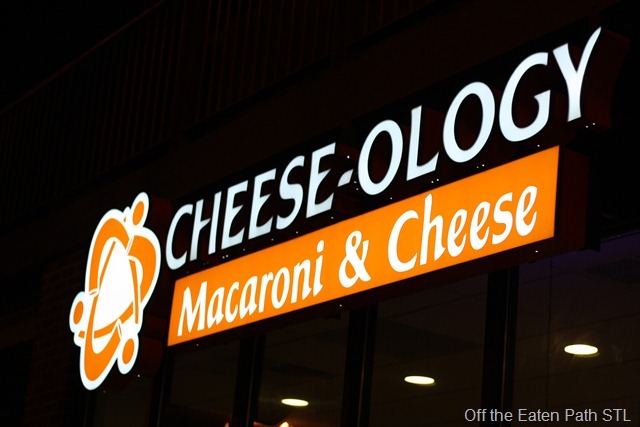 So ever since Cheese-ology opened up in the Delmar Loop (in St. Louis, MO…of course!) I’ve been DYING to try it. A restaurant entirely devoted to macaroni and cheese?!?! Count me in! Me and my boyfriend stopped by around 8:30pm on a Saturday night. It wasn’t too crowded, but there was a nice amount of people in there. I heard a few things about flights (3 smaller portions) from some people, so we asked the cashier if we could order a flight. Sadly, they no longer offer that option — they said it wasn’t cost effective on their end and led to a lot of waste. Oh well — on to the food! I ordered the ‘Bacon, Bacon’ — according to the menu, it contained "Mozzarella and Gruyere cheeses, and a generous amount of thick cut Bacon." Wow. This was by far my favorite. The salty chewy bacon complimented the gooey creamy cheese PERFECTLY. 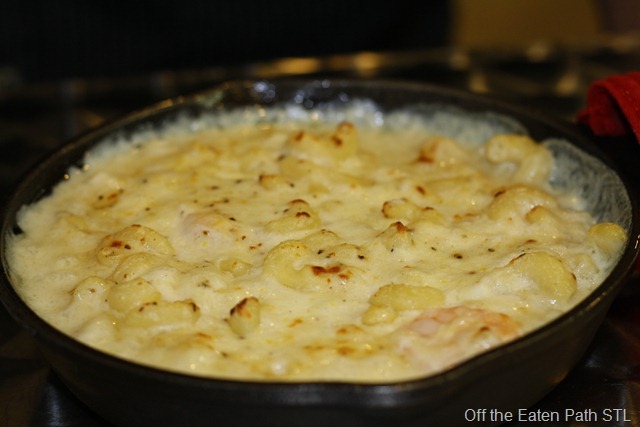 Andy had the ‘Shrimp Scampi’ – "a mixture of Mozzarella, Provolone and Parmesan cheeses, paired with strong flavors of lemon and garlic". We were enchanted by the menu, and being the mac and cheese fiends we are, we really just had to have more, so we ordered two flavors to go: ‘Black and Bleu’ and ‘Buffalo Chicken’ (the special of the day). The next day we tore into the leftovers! The Black and Bleu had American and Bleu cheeses, Steak, and cajun spices. This was tasty, but it reminded me of hamburger helper. Really tasty hamburger helper, but still….hamburger helper. The Buffalo Chicken was much better. 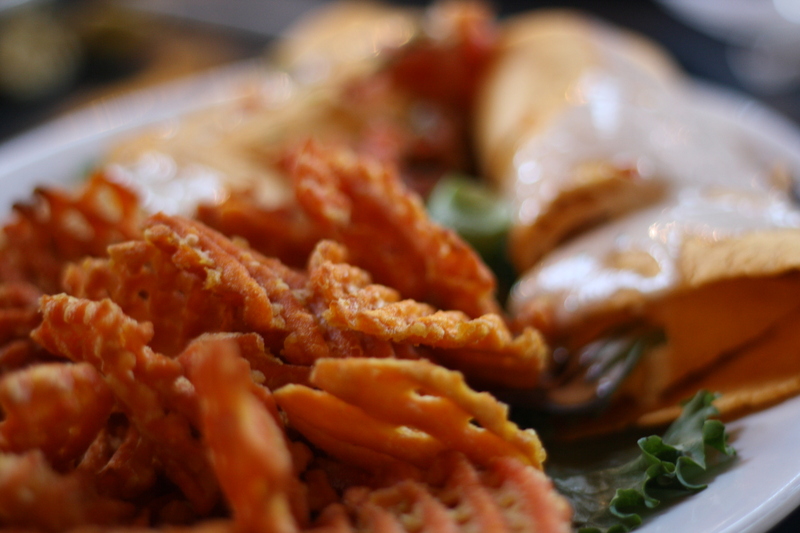 It was spicy, creamy, cheesy…it was just an explosion of flavors in my mouth! SO. GOOD. If they have this one on special, ORDER IT. It was nice to know that even the leftovers held up really well. They were just as delicious as the stuff we had in the restaurant! Even though the food was fantastic, the atmosphere of Cheese-ology left a lot to be desired. I feel like they could have put a lot more care into the place. It really looked thrown together — concrete floors, white walls, hard uncomfortable chairs — get this place a designer, stat! But I didn’t come to be wowed by the decor. I came for the food — and Cheese-ology definitely delivered on that! I can’t wait to come back and try more of the menu! 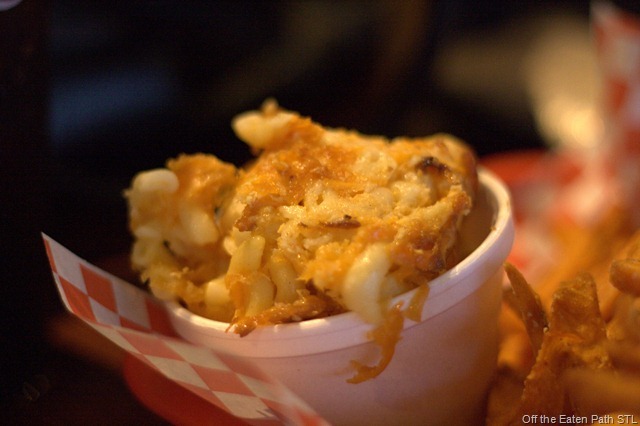 This place gets two (cheese-stained) thumbs up! …I shouldn’t have left you! Sorry to all three of you everyone who reads this blog and has been wondering where the HECK I’ve been. I’m still here! *waves* I’m just on a semi-healthy eating kick, and eating out 4 times a week just wasn’t cutting it anymore. I was hoping for some yummy Welsh eats, but I was a little let down. Ooops! There I go, spoiling the outcome again. I’ll let the pictures speak for themselves this time! 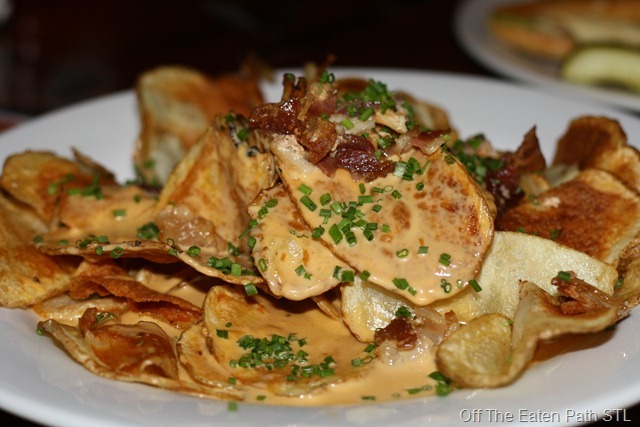 Since I wasn’t terribly hungry, I started out with some Welsh nachos: it included house-made Bavarian chips, Welsh rarebit (cheese and ale dipping sauce), tomatoes, bacon, lettuce, and sour cream. I ordered it without lettuce, tomatoes, and sour cream...obviously! Looks pretty good, right? Well…it was just okay. The whole thing came out lukewarm, which was the first strike. The chips were soggy. Strike two! The third and final strike? The bacon! The bacon was sad and pathetic. Sad, pathetic bacon??! I know…I’ve never heard of such a thing, either. But I suppose there’s a first time for everything, right? 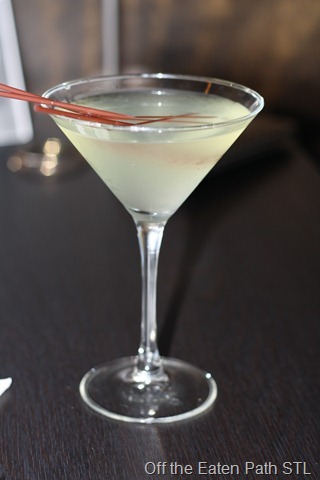 I skipped ordering an entree (unless the delicious, unpictured Hard Cider I guzzled counts!) and went straight for dessert. 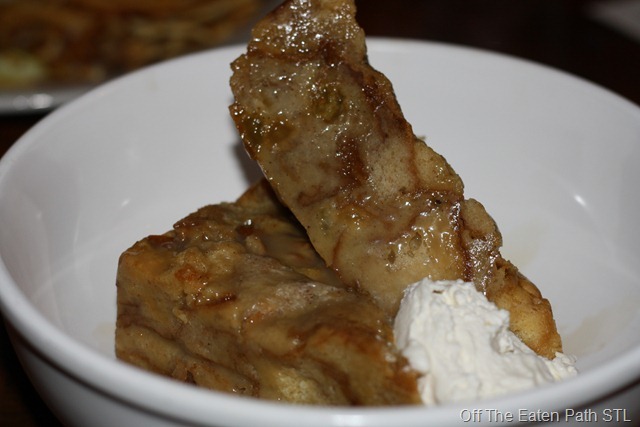 I noticed that they served bread pudding, so the choice was easy. The dessert came out ridiculously fast. Too bad it was a huge failure! It was a lot denser than most bread puddings I’ve tried. 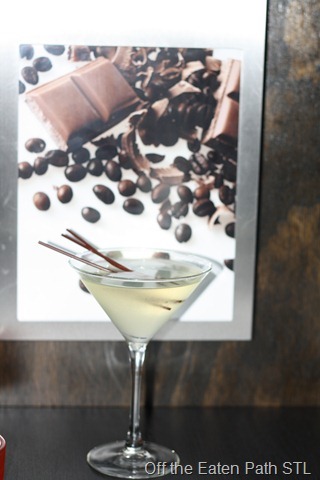 The flavor profile was nice: I could taste hints of cinnamon and rum – YUMMY! But like the chips, this came out lukewarm (almost cold!) which ruined the dish. 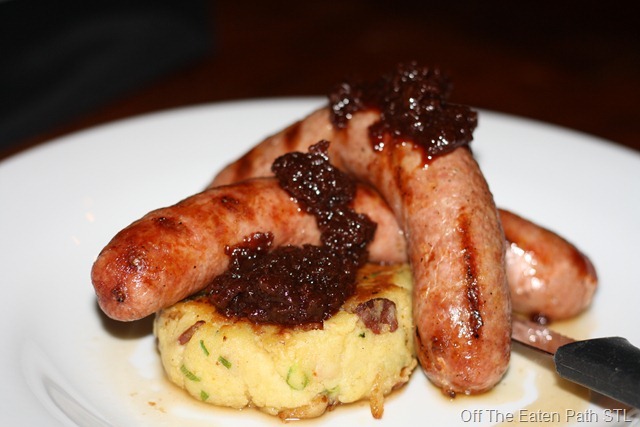 It was two house-made sausages served atop a bacon-scallion potato pancake with cherry ginger chutney. Now THIS was delicious! The sausage was juicy and so flavorful, the potato pancake was creamy and rich, and the cherry chutney was sweet and balanced out the entire thing! I wanted to gobble it all down, but I was polite and just had a bite. MMM! Our server was cold and distant, which was a bummer. The place was empty (especially for a Friday night!) so I don’t know why he was so absent. Bad night? Don’t take it out on us! I feel like I should give this place another try. I wasn’t impressed by what I ordered, but the bangers and cake were delicious, so I must see if the other entrees are just as good! Fitz’s, I’m sorry, but this time around you were a LOOOOOSER! I was in the Loop on a warm summer night with some friends, and we decided to hit up this spot. 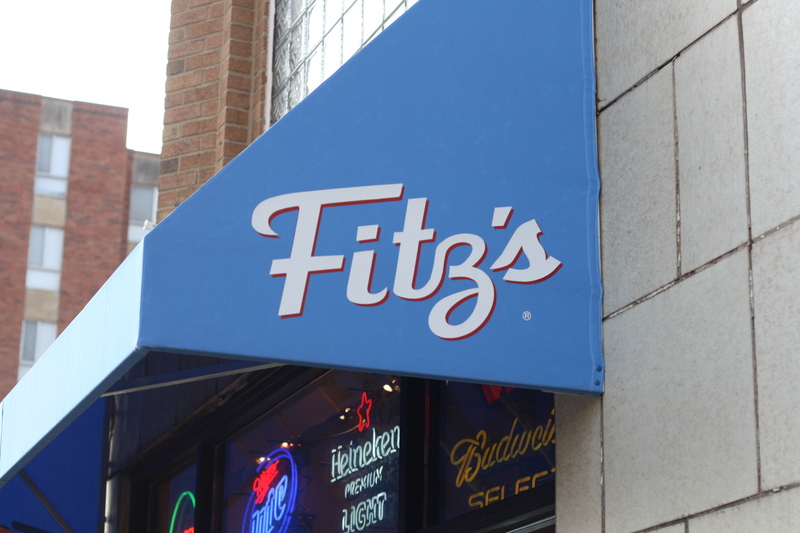 I had been to Fitz’s a handful of times, and I was always satisfied with their food (and their CREAM SODA!!! *drooool*) so I was expecting good eats. Not anything MINDBLOWING, but good. 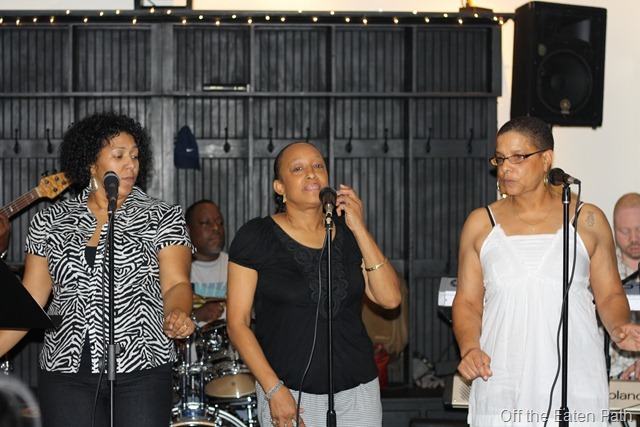 We started off with the sample platter. 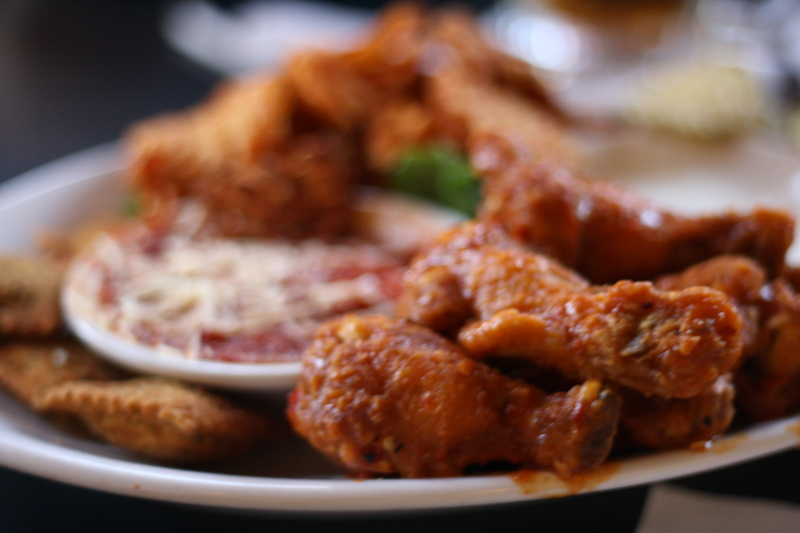 Fried pickles, toasted ravioli, sweet potato fries, chicken wings…you can’t go wrong with that, right? Everything was pretty good, don’t get me wrong — my problem is that everything was LUKEWARM. Yuck. It also came with sweet potato fries. Once again, the food wasn’t TERRIBLE, but it wasn’t great, either. Served lukewarm again. It’s amazing how much of a difference HOT food would have made. I don’t like to run negative reviews into the ground, so I’ll leave it at that. Let’s just move to scores, shall we? I probably won’t come back, because I feel like I could get better food at Applebee’s (and those who know me know how much I DESPISE Applebee’s!). 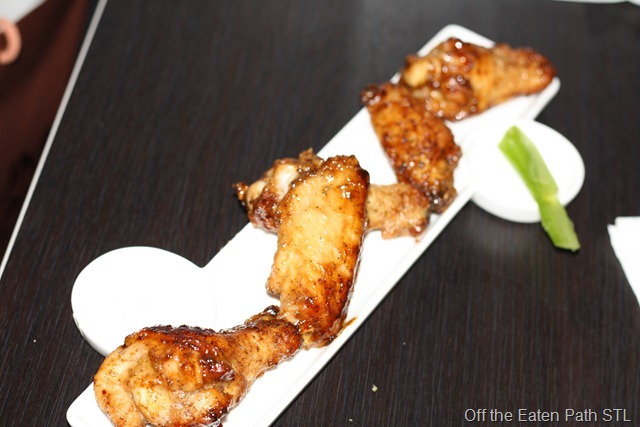 So what happens when a foodie (yours truly) plans a dinner date with her dad (also a foodie!) and her sister (who happens to be EXTREMELY picky!)? You end up at 3 Monkeys near Tower Grove Park in St. Louis, MO. I’ve been wanting to try the place for quite some time, and it seemed interesting enough to satisfy me and my dad, while having ‘normal’ things on the menu to please my sister. I was hoping for some mind-blowing food, and instead I left with a feeling of ‘meh’. Let me explain. It was a nice night, so we sat outside. Fine, right? Other people were sitting outside too, so it wasn’t like we were the only souls out there. Well, our waitress seemed to forget that we were out there, because she dropped the menus off, and DIDN’T COME BACK. After about 15 minutes, I had to run inside (I was a little miffed) and remind her that she had (hungry) customers outside who felt a little neglected. Water was finally brought out, and we started with some apps. Lobster rangoon and calamari. 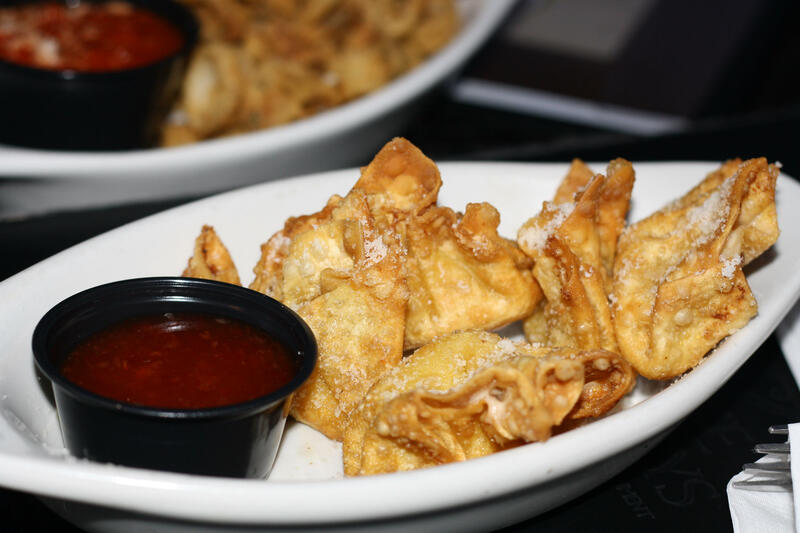 I love crab rangoon, and lobster rangoon sounded CRAZY delicious! I was expecting to have my mind blown. Honestly? This wasn’t fantastic like I was hoping. It was just OKAY. 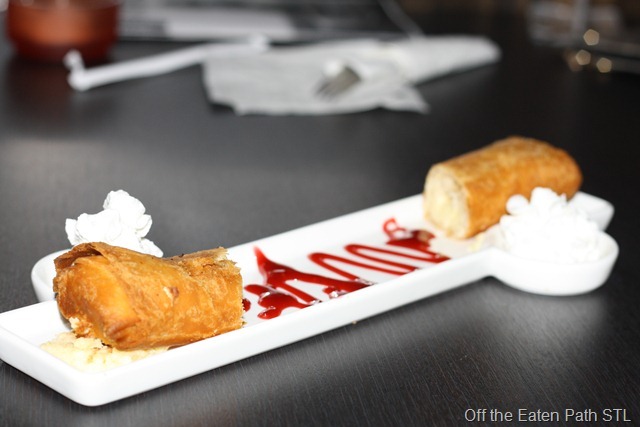 It tasted like the lobster rangoon at Crazy Bowls & Wraps (a fast food chain in St. Louis). 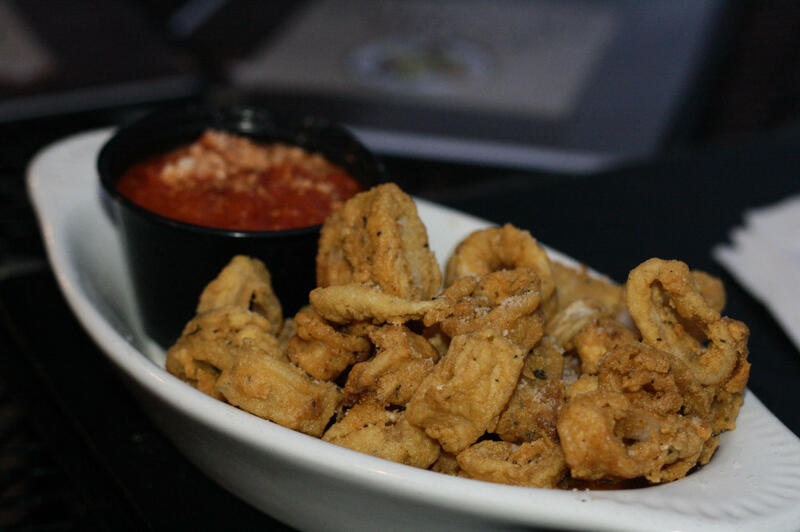 The calamari was decent. A little tough, but I wasn’t expecting much from a non-Italian place. For the entree, I went with the turkey burger and fries. Now this was pretty good. The fries were nothing to write home about, but the burger was DELICIOUS! 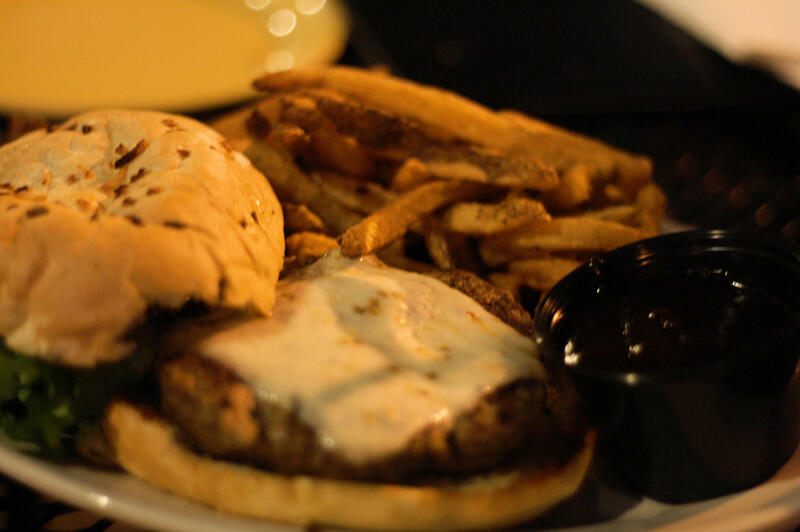 It was seasoned very well, and is actually one of the best turkey burgers I’ve had in St. Louis. My sister and dad both ordered the ribs and fries, which they both seemed to enjoy. 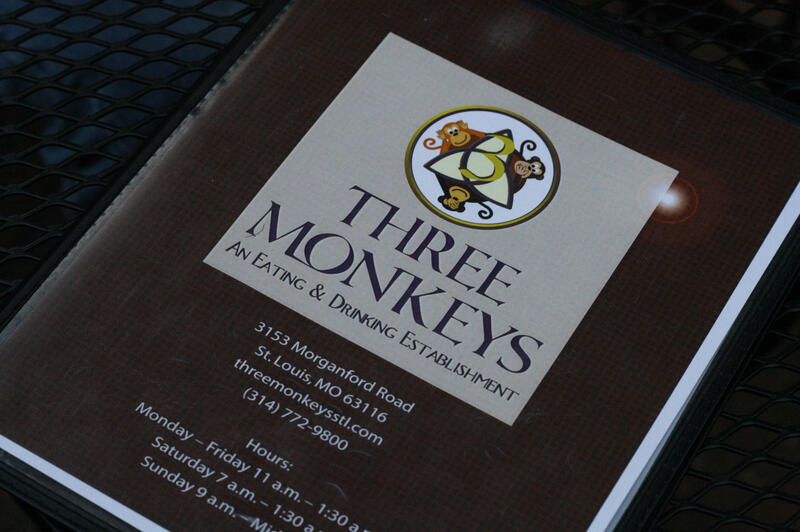 So even though the food was average, I was left feeling a little disappointed about 3 Monkeys. It reminds me of an Applebee’s. Not bad, but not GREAT. Just…meh. I love the Tower Grove neighborhood, so I’ll definitely be back. 3 Monkeys is really known for their pizza, so I think I’ll try that next time. Hopefully that’s better than what I had tonight. And hopefully the service is a little better, too! So I’m going to start this post off by saying that I’m obsessed with sushi. OBSESSED! I love it. However, at the same time, I’m a huge sushi snob. 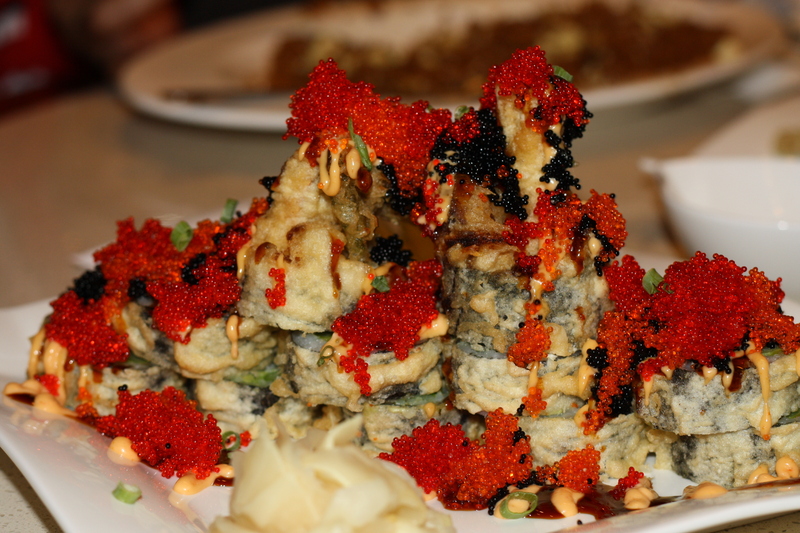 All-you-can-eat sushi spots? No thanks. Grocery store sushi? No ma’am. Sushi at a BUFFET? (Yes, it happens!) Hecky no! But I’ll definitely snack on sushi from a reputable restaurant, as evidenced here and here. Mmm. I love it! 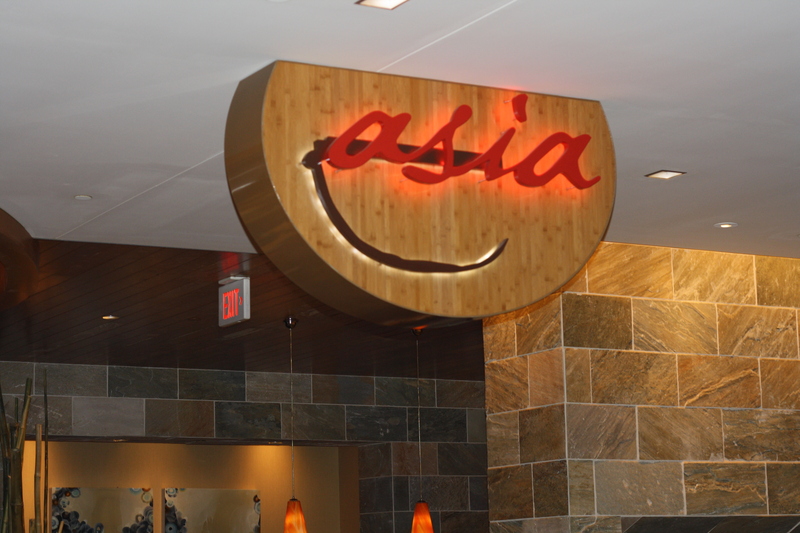 So when my mom and sister wanted to hit up Asia @ Lumiere Place in STL for some eats, I was down! Sushi heaven! 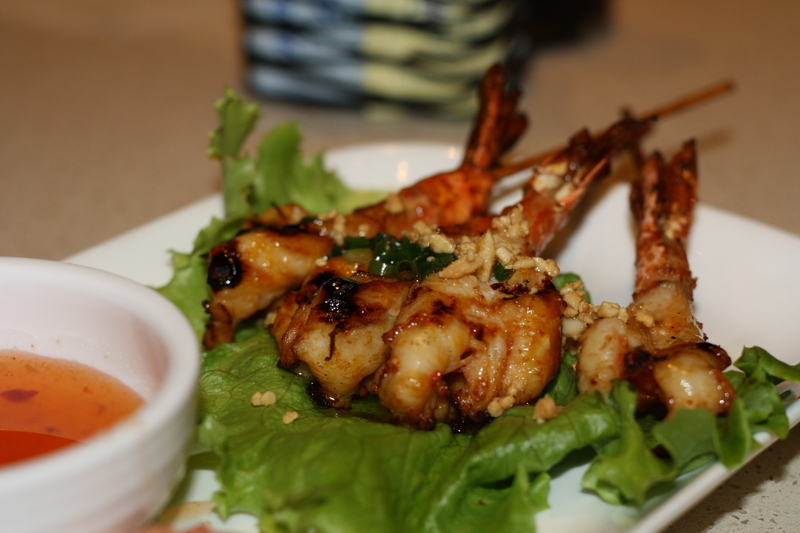 We started out with grilled shrimp. The menu described it as ‘honey glazed shrimp skewered and glazed to perfection’. 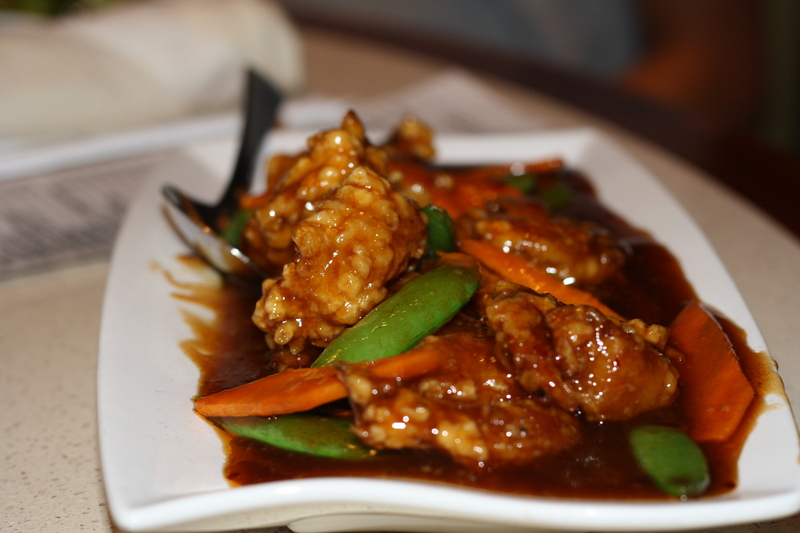 It was served with a sweet and tangy sauce. Next, we (or should I say ‘I’?) 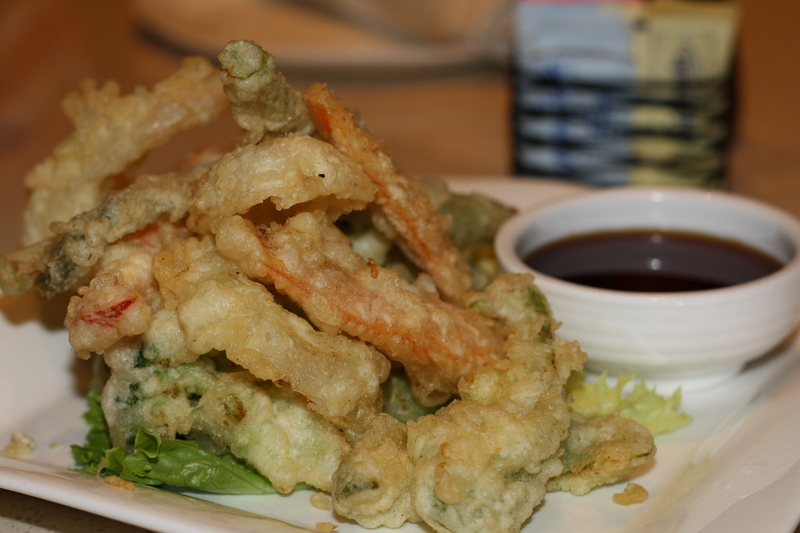 had the tempura vegetables and the tempura soft shell crab. Tempura overload, anyone? The veggies came with a thin soy sauce, and the crab came with a thicker, sweeter teriyaki sauce. I was in love with the teriyaki sauce, but honestly, I don’t think tempura covered foods are my thing. I would rather just eat grilled or steamed vegetables. Tempura batter just adds unnecessary crunch (and calories!) that aren’t needed, in my opinion. What’s this? Stephanie likes the HEALTHIER option? Check this girl’s temperature! 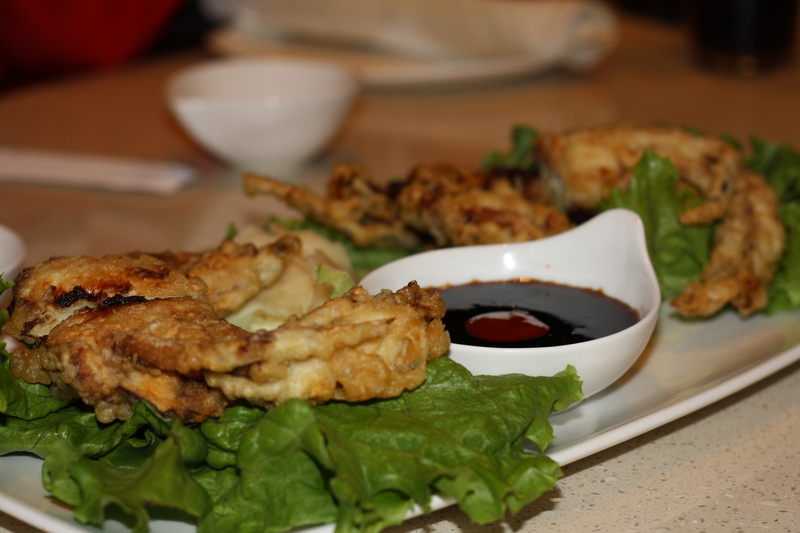 The tempura soft shell crab suffered from the same tempura overload. It was just unnecessary. The crab wasn’t too tasty, either. I’m usually a big crab fan, but this tasted super fishy. Weird. Look at all of that yummy roe! I love the stuff. The presentation was kind of cool, but we had to stare at it for a bit and decide exactly how we were going to conquer the thing. Finally my sister knocked the tower over, and we went to town. So how did it taste? It was just ooookay. The entire thing was coated in tempura, so it was hard to distinguish the different components of the sushi, which was a little frustrating. It was also really hard to eat. 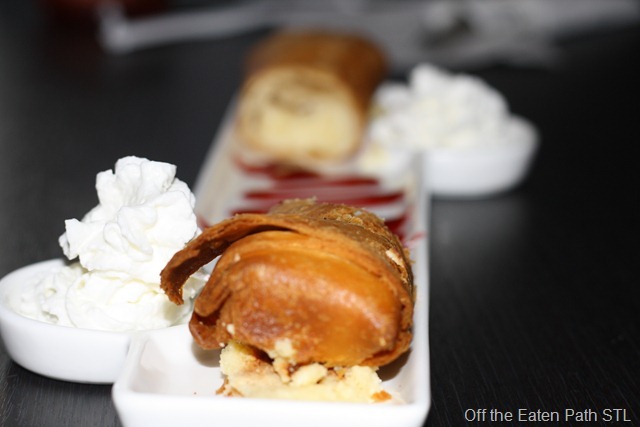 The individual pieces of the roll were HUGE, and it was hard to fit the entire piece in my mouth (TWSS!). I tried biting it in half (which I NEVER do with sushi), and it ended up making a mess (which is why I never try to do that!). It was bad. I could only eat two pieces before I had had enough. The others in the party had better luck with their food. 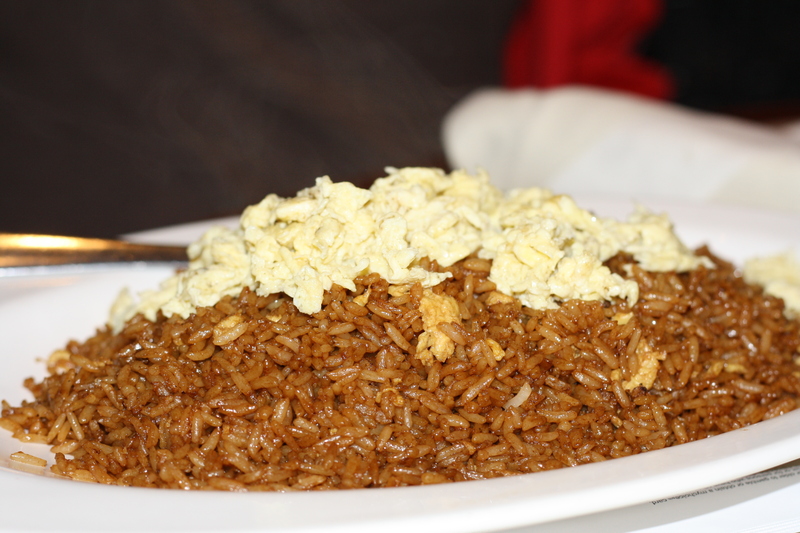 My mom had plain fried rice, which was pretty good. I didn’t try either dish, but they looked tasty! I did have a few complaints about Asia. First of all, they had a lot of popular Chinese and Japanese appetizers and such, but NO MISO SOUP. Oooh. That’s a huge strike. You have an entire sushi menu, and no miso soup? Bad. Secondly, they don’t have a dessert menu. Nothing would have made me happier at the end of the meal than some mochi ice cream, and they didn’t have any! Double strike. Enough complaining. Time for some scores! Hi! 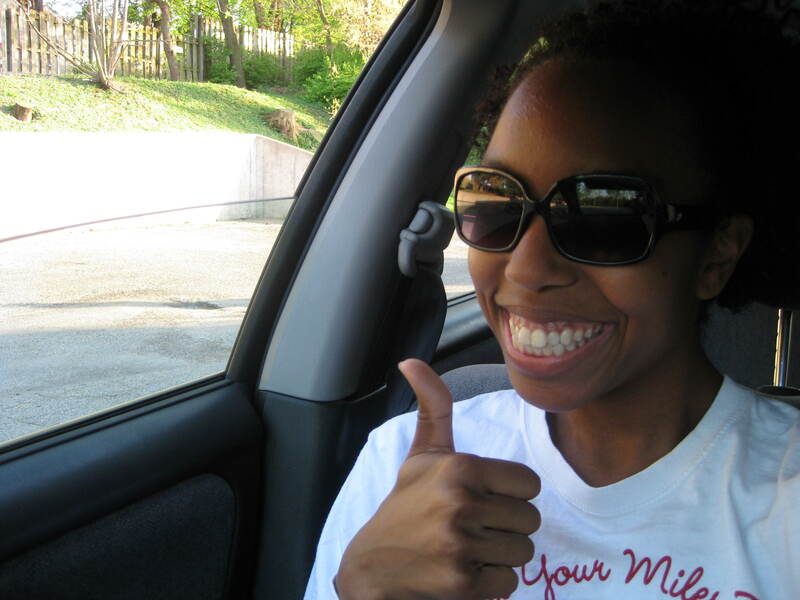 My name is Stephanie, and I’m from the wonderful city of St. Louis, Missouri. When I’m not eating (or thinking about eating! ), I like to run, run, and run some more! (Have to work those calories off somehow, right?). I also love performing in small community theater productions. Do you have Facebook? ‘Like’ me! If you’re having trouble viewing the page (i.e., the photos look too big!) try resizing your screen resolution to 1024 x 768 or higher.